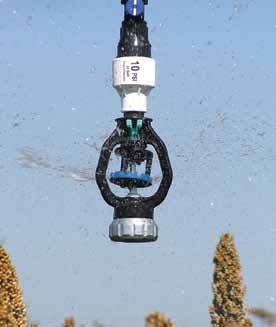 The Senninger i-Wob is the most innovative pivot applicator on the market. 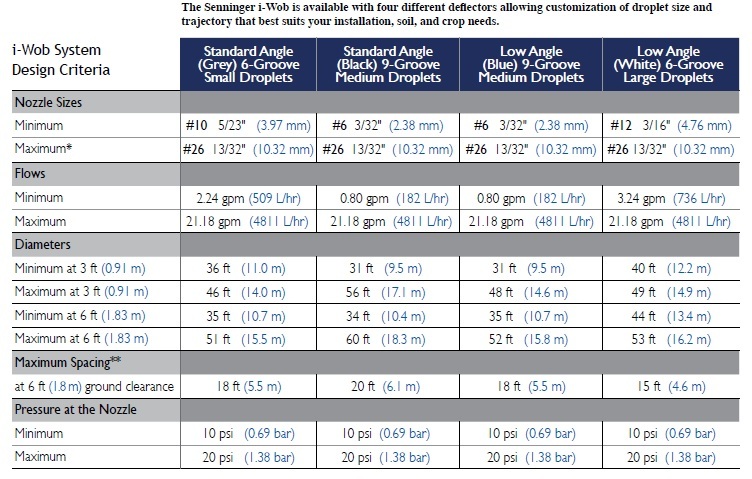 Its unique rotary action combined with the wobbling action of the grooveddeflector delivers a consistent droplet size andoutstanding uniformity over a large area of coverage. This prevents wind-drift and provides a gentle, rain-like application of water to the soil. Important: Nozzle is not included please search Nozzles and Parts to find UP3 nozzles. 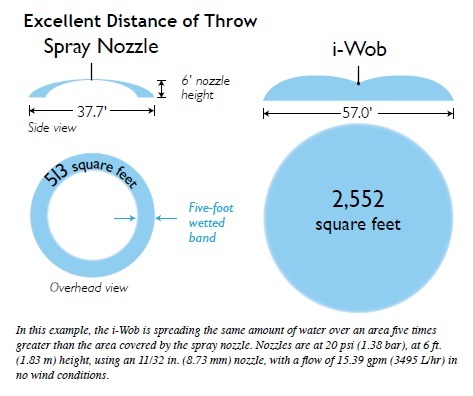 This is done this way to allow quantity discount on the i-wob itself and customization of nozzles for the entire span of the Center Pivot. 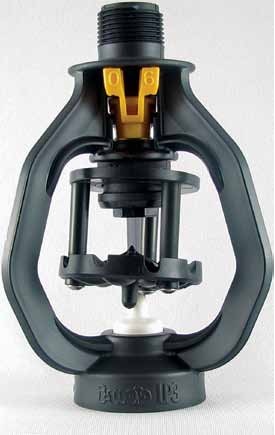 Because of its off-center rotary action, it is necessary that the i-Wob be mounted with a minimum of 2 ft (0.6 m) reinforced flexiblehose above the applicator. When using The One weight, never use another weight above the i-Wob. If you are using a conventional weight above the i-Wob, only use a threaded weight weighing at least 1.5 lbs. (0.7 kg) but not exceeding 1 ft. (0.31 m) in length. Please note that using a slipover drop weight is prohibited as it maycause premature failure of the drop assembly.